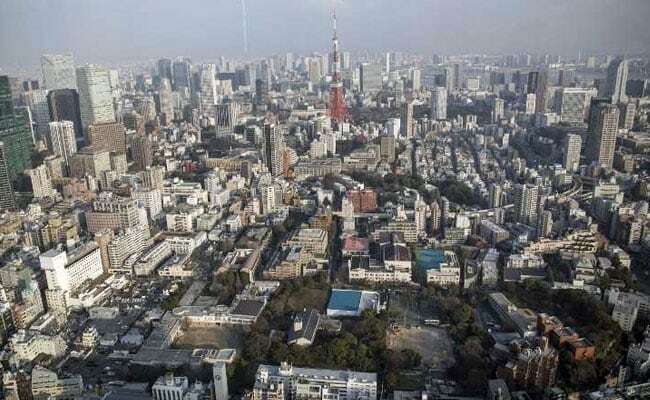 The Tokyo metropolitan government unveiled its first estimate of Tokyo's vulnerability to damage from typhoon-related high tidal waves this Friday. Tokyo,Japan: One third of central Tokyo could be left under water and nearly four million people affected if a super typhoon strikes the capital causing storm surges, a new study from local authorities has warned. The Tokyo metropolitan government unveiled its first estimate of the Japanese capital's vulnerability to damage from typhoon-related high tidal waves Friday, as risks of storm damage continue to increase globally. According to the report, 212 square kilometres (85 square miles), or one third of the capital's central area, could be inundated to a maximum depth of 10 metres (33 feet) if a super typhoon creates high tidal waves. A severe event of this type would be estimated to affect as many as 3.95 million people in the city, flooding business and entertainment districts as well as major railway stations, the local government said. Tokyo has a population of 13.7 million people. In particular, Tokyo's eastern zone near Arakawa river would be flooded for more than a week if rising tidal waves at Tokyo Port break through river levees. Based on the estimate, the Tokyo government said it plans to update evacuation measures and review how it sends warning messages to local residents. Big storms regularly hit the Japanese archipelago, triggering landslides and floods that have often led to sizable casualties.